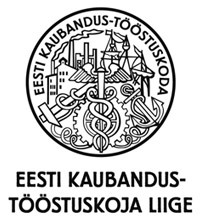 Maru Ehitus AS and Pöyry Finland Oy signed a subconsulting agreement on November 12, 2018 to design the Torrefied Pellet Production Plant in Vägari, Jõgeva county. The signed agreement is the continuation of the agreement from April 2018, whereby Maru Ehitus AS prepared a pre-design of the plant and applied for a building permit. The purpose of the new agreement is to prepare the basic designs of buildings, including engineering systems and technological foundations, and consult the client on the fire safety issues of the whole plant. The Torrefied Pellet Plant project consists of several different buildings and technological parts including raw material warehouse, office and production buildings. Once operational, the plant will have the capacity to produce 157,000 metric tons per year of torrefied pellets. The biomass is roasted during the torrefaction process, which results in a product with a higher calorific value than untreated wood. Torrefied pellets are therefore an important alternative to solid fossil fuels.